Description: Dog with a moustache. Other Info: Stands guard at the Mayor LeGrand's cage. Plays with the Cannon Deck. 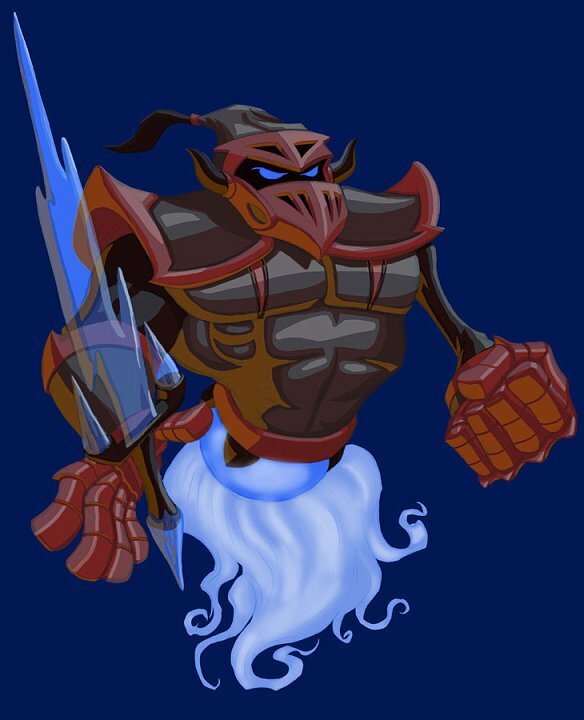 Gets himself locked up at the Cutthroat Carnvial but is broken out by the Skylanders so that they can defeat him at a game of Skystones. What heroes! Quote: "Arrrrrgh! You musta been cheatin!"